THN December Magazine Released ! 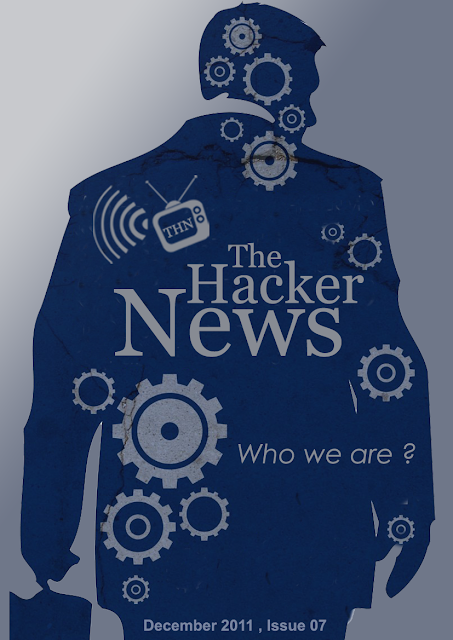 Who We are at The Hacker News ? It is hard to re-cap the past year and all the excitement and hard work we have experienced launching an online magazine. The subject, Hacking, is even more exciting as the technology world awakens to the security issues facing all internet users from government, large corporations and personal users. We have tried very hard to keep the readers informed and up to date regarding security threats and security breaks world wide. Our daily news aims to give business and personal PC users an understanding of what is happening in computer security developments and what criminal activity is breaching security systems. Mostly, we understand the importance of disseminating information and keeping the internet free of restrictions. We believe that information and opinion are the foundation of a healthy society and we strive constantly to address the political and social issues facing our new world of electronic communication. You may or may not agree with all we have to say but know that we have your best interests at heart and work hard to give you all that you need to know what is happening in the world and how if affects you. Truth is power. Our mission is to keep all of us powerful in a positive and productive manner and let those that try to suffocate our rights know that we are watching and taking appropriate action. In the end, The Hacker News could not be successful without you, the reader. We have so much heartfelt thanks for your support and your participation in our emerging success. We here at The Hacker News wish all of you a Happy Holiday and a safe, secure new year.